ASUS, at the recently held Computex 2010, showed its latest AMD Eee PC netbook.The new notebook is named ASUS Eee PC 1015T.The new ASUS Eee PC 1015T netbook comes available in four shades including black, white, red and blue colors. The all new ASUS Eee PC 1015T netbook comes equipped with a 10.1-inch LED-backlit display with resolution of 1024×600 pixels and is powered with a a 1.2GHz AMD V105 single core processor.The notebook also includes with ATI Radeon HD 4200 integrated graphics. 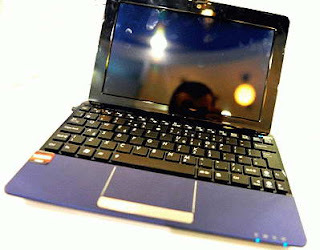 Other features of ASUS Eee PC 1015T netbook includes 1GB/2GB of RAM, 250GB/320GB hard drive, and 500GB online storage.The netbook also housed with a web camera, card reader, Wi-Fi 802.11b/g/n and Bluetooth 3.0.ASUS Eee PC 1015T netbook packs a 6-cell battery provides a battery life of about 6 hours. 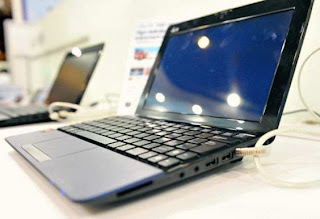 Tags:-10.1-inch notebook, 1015T, AMD, AMD netbook, ASUS Eee PC 1015T netbook price, ASUS Eee PC 1015T netbook features, ASUS Eee PC 1015T netbook specs, ASUS Eee PC 1015T netbook specifications, ASUS Eee PC 1015T netbook availability, ASUS Eee PC 1015T netbook launch, Bluetooth 3.0 Netbook, asus Bluetooth 3.0 Netbook, Bluetooth 3.0 Netbook from asus, amd powered Bluetooth 3.0 Netbook, AMD-powered, ASUS, ASUS 1015T, Asus Eee PC, ASUS Eee PC 1015T, Computex, Computex 2010, Eee PC 1015T, netbook.